While Stuart Dean is currently made up of over 600 skilled technicians, supervisors, salespeople, and managers, the company had its start in the 1930’s with a sole entrepreneur. Ed meets with a representative of the Dupont Corporation at the site of the construction of the Empire State Building. Dupont had recently developed the first clear synthetic lacquer coating. Shortly after this meeting, Ed and his financial partner, Calvin Perry, formed the idea of creating a new company, a firm that would specialize in applying the new Dupont product to architectural metals to prevent corrosion. They decide to name the company “Stuart Dean” after their mothers’ maiden names, Ed switching to the more American spelling “Stuart” and away from the original Irish spelling “Stewart”. Shortly after the founding, Ed bought the balance of the business from Calvin Perry, becoming sole owner. Stuart Dean is incorporated as a business in the State of New York. The company opens its first office on 23rd Street in Manhattan. Stuart Dean receives its first big commission cleaning and maintaining the “New Soviet Man” in front of the Russian Pavilion at the 1939World’s Fair in New York City. At the age of 60, Ed suffers a massive stroke and dies. 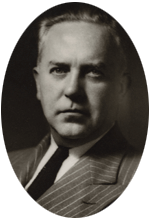 Eugene Degan, his eldest surviving son (Edward III was killed in combat during WWII) succeeds him as CEO. Marble restoration services are added to core services. Office opens in Los Angeles, California, first office outside of New York. Jack Degan succeeds Gene as CEO. Crews complete the company’s first international jobs in Riyadh, Saudi Arabia and Singapore. Washington, D.C. and Phoenix, Arizona offices open. San Francisco, California office opens. Atlanta, Georgia and Columbus, Ohio offices open. Orange County, California office opens. Wood restoration is added as a core service offering. Charlotte, North Carolina and Cleveland, Ohio offices open. Kansas City and St. Louis, Missouri offices open. San Diego, California office opens. Richmond office opens. Glass polishing and escalator cleaning is added to service offerings. National Accounts division is created to service businesses with multiple properties, stores or restaurants. National Facade group is created to market and project-manage facade restoration services. James Degan takes the reins as CEO. First international office opens in Toronto, Canada. Corporate headquarters moves from 366 Tenth Avenue to 450 7th Avenue in New York City. Long Island City, NY office opens. Stuart Dean University (training center) opens in Cleveland, Ohio. Nashville, Tennessee office opens. Stuart Dean actively pursues green product solutions for architectural maintenance and restoration. PURETi products added as a service offering. Glass Restoration service expanded and Grout Solutions added to suite of services. Marcoat® Thermo Setting Grout solutions for Commercial Kitchens added to suite of services. Mark Parrish installed as CEO. Stuart Dean proudly celebrates its 80th anniversary. James Degan retakes the reins as CEO. Stuart Dean partners with Bright Technologies of East Kingston, New Hampshire to provide Chandelier and Decorative Fixture Cleaning services. Bruce Hallett takes the reins as CEO upon the retirement of James Degan.